I went with a very classic card today for our cue card! People give gifts all the time so I figure I could demonstrate that. I used Create A Smile Wrap it Up stamp set and stamped my image and sentiment using my Misti and My Favorite Things Hybrid Ink. Then I colored my presents in using Copic markers: r37, R39, R89, Y38, YR68, YG03, YG25, YG17, Y02, Y15, Y19, B12, B14, B37, V15, V06, and V09. Then I trimmed my card panel down and adhered it to my card base. Nice and easy!! What do you think? Please let me know below. Hello everyone!! Yayyy, my forth blog hop featuring new products from Your Next Stamps makes squeal!! LOL!! I super doper love this release!! Couldn’t you tell from yesterdays sneak peek? If you’ve been hopping along, you would have arrived from Julie’s blog and if you’d like to start from the beginning, you can click on over to the linky at the bottom of this post and start at Kendra’s blog. This new release will surly get you ready for Christmas!! You will squeal for joy when you see the new stamps and dies!! My favorite set is Santa’s Helpers and in close second is Sandy Squirrel Autumn Greeting! Are you ready for my big reveal? I made one card and one postcard to inspire you! How cute is that little bunny!! He is adorable for sure!! To create this card, I die cut the Window out of my card panel. Then I stamped the sentiment right underneath the window. After that, I stamped my bunny and colored him in using Copic markers. Then I cut a mask out and cover the bunny up so I could ink the area around him. I masked off the window area on the card base and inked up the window area. I removed the mask and attached the card panel to the card base. I stamped the gifts, colored and fussy cut the gifts out. This set has dies but I didn’t have them so I fussy cut them out. I attached the gift boxes using foam tape. The left side is the front of the postcard and the left is the back of the postcard. I told you this was my second favorite stamp set from this release!! 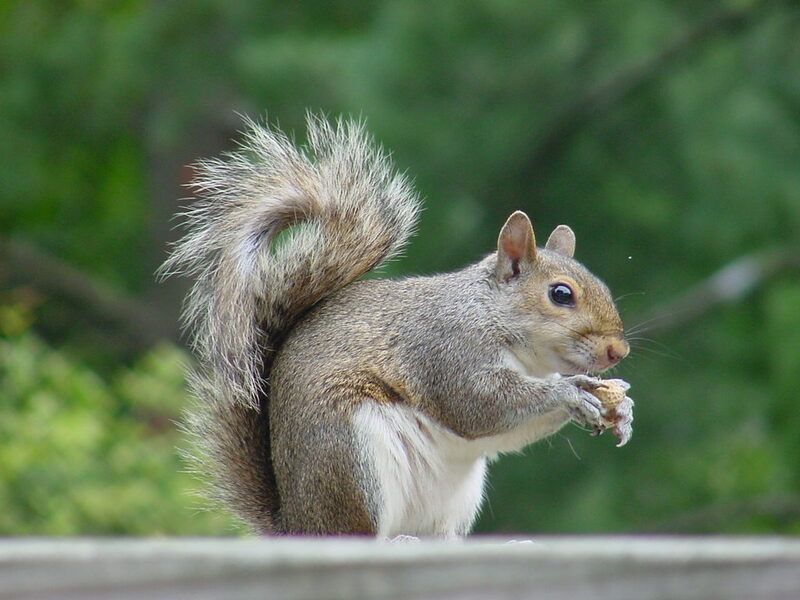 I love these squirrels. The funny thing is I do not like squirrels at all. The ones by my house are super crazy and they look at you like you are in there space. Once it dried, I stamped my sentiment. 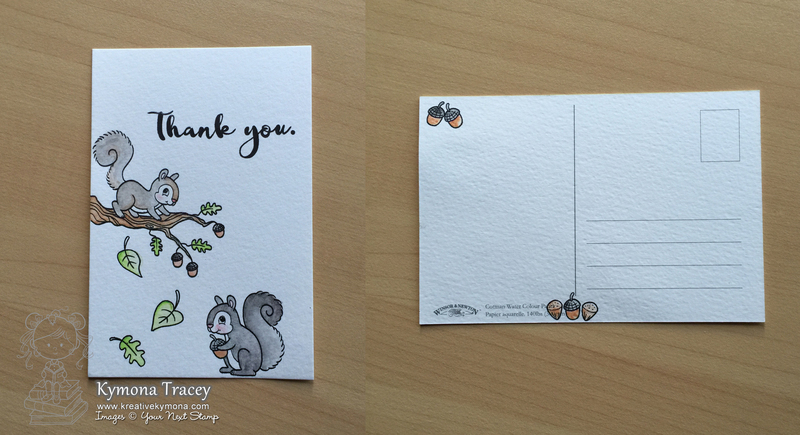 Then I turned the card over and stamped the acorns and watercolor those too! Super easy and fun. I love playing with watercolors on this image. So what do you think? I had so much fun creating these boxes and card to inspire all of you and show you the versatility of the stamp sets! Which one of these items are favorite? I would love to hear from you! Be sure not to miss any blog along the way, because one lucky commenter will have a chance to win a $25 YNS gift certificate. 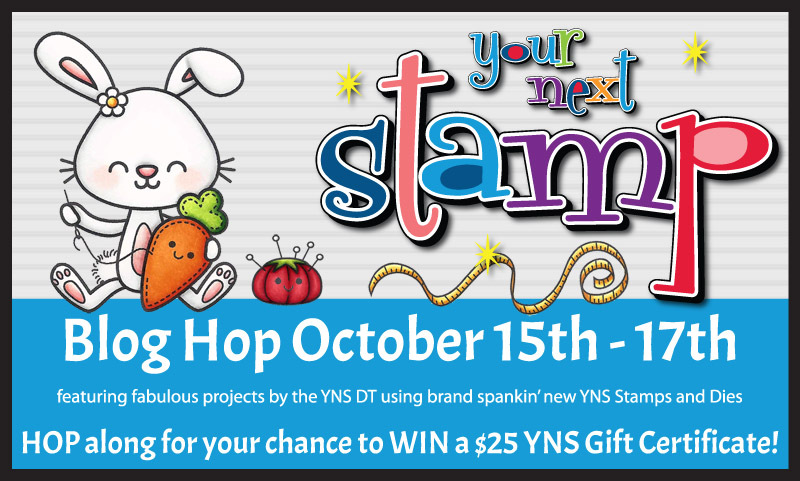 Winner will be announced on the YNS blog on October 18th. So don’t forget to leave a comment on each of the blogs participating in the blog hop.